It’s a pretty typical scenario in parenting. A year ago I felt like I was asking seemingly reasonable requests but was being consistently ignored by my child. “S/he doesn’t LISTEN to me!” I found myself saying out loud frustrated. It’s a common complaint of parents. They don’t listen. But is that really the issue here? Is that really how this is playing out so frequently? That they’re not hearing us? They don’t listen?… or obey? What many don’t recognise is that they’re using the word LISTEN synonymously with OBEY. I was. I had fallen back into a pattern of demanding things of my kids without realising it. I wasn’t intentionally expecting things, yet I had got used to them agreeing and somehow forgotten in the midst of having a new baby that this wasn’t what we wanted. As parents on this respectful journey we have to be mindful of our goals and how we treat our children. Like with misbehaviour, we have to recognise that often children are definitely listening, they just don’t always want what we do or when we want it. What’s really going on is deeper than simply not listening. There can be so many reasons why a child isn’t ‘obeying’ and simply lumping it all under one misdemeanour really robs so many opportunities for connection. Herein lies the issue because instead of pausing on this, often we can get angry right? We aren’t feeling heard and it can take a lot of intentionality (perhaps some re-parenting) to refocus and not end up yelling or becoming punitive in some way. For those of us who weren’t respectfully parented ourselves, not being heard can be triggering! There are some deep set feelings from not feeling heard or valued as children and our children not listening can trigger these emotions. It’s important for our children to hear us voicing our needs too – without shame or blame towards them. I do this for them – I label their needs and remember that their behaviours are generally a result of unmet needs. So to must we remember our own triggers and needs. Most of us as respectful parents are not aiming for blind obedience. I mean it certainly would be good sometimes if children did what we wanted without question. But only for us adults. Is it best for them? For their intrinsic motivation or self-worth? What would they be giving up for this trade off? Is it really what we want? Children are so capable and worthy of our respect and consideration. 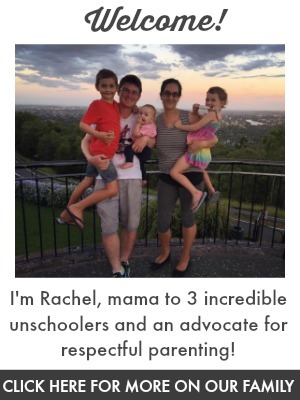 Like I share about frequently – children are people too! They know when it’s an emergency and they must do something. When we aren’t authoritarian, they take us seriously. Obedience isn’t the goal if we want children to feel heard, valued, respected and unconditionally loved. It can be far too easy for our language and reactions to get mixed up when we have patterns from our childhood and we are surrounded by a society that feels differently. We have to remember that they certainly are listening. What and how we say things matters. What can we do when they don’t want to listen? Children are far more likely to listen when they feel listened to. We need to meet them where they are and with empathy and compassion. Not because they will then listen and do what we want but because that’s what they deserve. Period. Prepare in advance. It’s not always possible in the heat of the moment which is why this is so significant – we have to live intentionally enough that there is space as much as possible. We have to allow for time for them to feel prepared when say we have to go or leave somewhere. So importantly, we have to validate their feelings, their wants, their needs and their perspective. It’s important to remember that they’re allowed to not stop being unhappy about the choice too. They’re allowed to continue to cry and yell. Continued empathy is the answer. A question that really helps is asking how I can help make the choice they’re unhappy about easier. We problem solve together. We can keep children safe and help them resolves matters of conflict without resorting to belittling their reality, shaming/blaming/judging or punishing. It is possible. It can feel like hard work. But it’s what they deserve and so worthwhile. But our perspective and language must change to allow for it. What Is Respectful Parenting? What DO we do Instead of Punishment? I have learned this as a grandparent but didnt have it as a parent it didnt come natural that maybe it was my attitude that was the proplem. I love this. I’ve been trying to focus on my language choices lately. It’s hard to change what is so ingrained from our own childhoods. It feels like it will always be a work in progress for me. But I’ll be hopeful that maybe it will come easier to my children. What about when they won’t stop physically causing harm in some way to me or their sibling. Both my 2 and 4 year old do this. They will get in a mood to where they think it’s fun or funny to be hitting me or the other. I explain calmly over and over how hurting people is not okay. And that if someone asks you to stop doing something to them you should listen to them. But sometimes it’s like they get so much enjoyment out of fighting with one another, even if one is crying. I feel like I have to resort to threats like no more tv and stuff like that. Or I remove myself from the situation or physically hold them down while I explain what they’re doing is unacceptable because we can’t hurt people. And this isn’t something that has been happening every day until recently. And I’m not sure what I should be doing differently. Thanks in advance for any advice! Thank you for this text. Hope it will help me to change something in the way of my parenting.